Whether you are interested in walking for exercise, transport or as a social activity Bedford has a lot to offer anyone who is interested in walking. 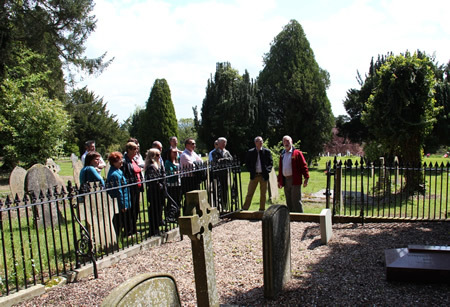 The North Bedfordshire Ramblers are a friendly group of individuals who enjoy and promote walks in and around North Bedfordshire. 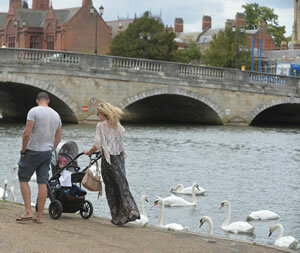 Their walks are usually within a 20 mile radius of Bedford Town Centre. A lively and friendly group for the retired and semi retired. Walks normally start at 10am on Mondays and last around two hours. Health walks are free and open to all – and usually last for about an hour. The relaxed friendly atmosphere allows walkers to get some exercise while socialising. We teach the basic techniques in Nordic Walking and run regular walking sessions. Taster sessions are held at Stanwick Lakes on the last Tuesday and Thursday afternoon of each month. The 45 minute taster session will leave you feeling energised and keen to continue Nordic Walking. Walking for pleasure and the enjoyment of the countryside. A small friendly and sociable walking club who meet on Sunday and Monday mornings for a 2-3 hour circular walk. Walks normally start at 10:00 and cover 4-6 miles of countryside around Bedfordshire and the surrounding area. We are always happy to welcome new members so please take a look at our website or contact us for further details. Nordic walking is a full-body exercise that's easy on the joints and suitable for all ages and fitness levels.Classes range from gentle walks for people with health concerns, to workout walks, which are a great way to improve fitness, lose weight and tone the whole body. 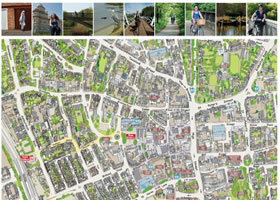 The latest edition of Bedford’s Walking and Cycling map can be downloaded by clicking the image below. 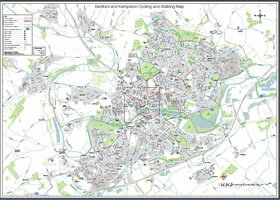 This map is of Bedford’s urban area which generally has good pavements for walking. You can download a 3D map of the town centre to help you navigate around the shopping area on foot by clicking the image below. 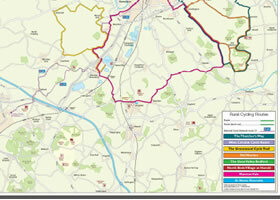 You can download a map of rural Bedfordshire with some recommended cycling routes, which are also suitable for walkers by the image below. Do you know of a nice walking route that we’ve not included on this website? If so, please let us know by emailing Bedford@sustrans.org.uk or by calling 01234 276 048. It would be ideal if you could mark your route on to a map and send it to us but if this is not possible then give us a call and we’ll do our best to put it on a map for others to enjoy. Walking is one of the easiest ways to be physically active and you can do it virtually anywhere for free! A typical pair of trainers will last 500 miles of walking – much cheaper than any other form of transport!